India’s huge and growing population is putting a severe strain on all of the country’s natural resources, especially on pure or potable water. Though India has made progress in the supply of safe water to its people, but gross disparity in coverage exists across the country. Despite improvements over the past few years, accessing clean water is a big challenge in rural India. According to the National Sample Survey Office (NSSO) estimates, 14% of the households reported shortage of drinking water at some point during the year. An 11 grader student Deeya Shroff with a mission to improve the pure water accessibility; has invented a unique idea! 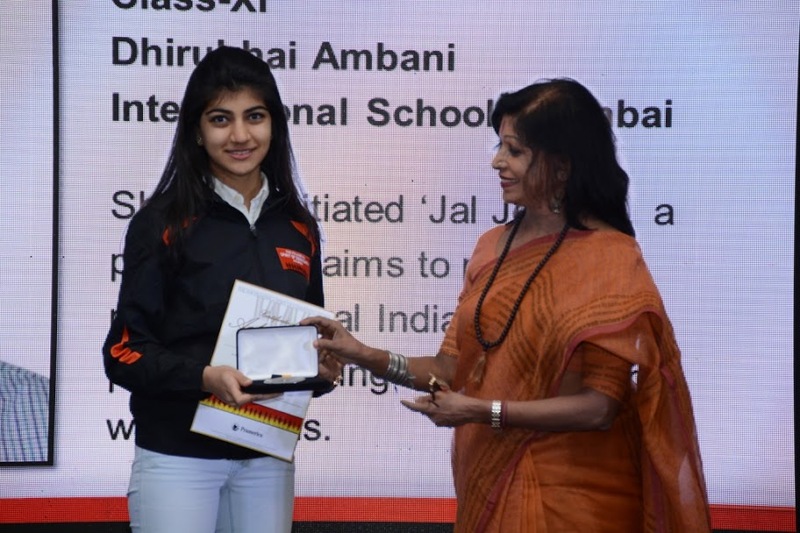 The 6th annual Pramerica Spirit of Community Awards programme felicitated Deeya Shroff, a class XI student of Dhirubhai Ambani International School, Mumbai for her extraordinary contribution to community service. She was presented with Gold Medallions, Certificate of Excellence and a cash reward of Rs. 50,000 along with a return trip to Washington, D.C. this year. This project provided clean and purified drinking water through water ATMs to 300 families in rural India. People in rural India have to travel miles to get the fresh or potable water for the family. To improve this water scarcity situation in India, Deeya had decided to resolve this chronic issue. She collaborated with Eureka Forbes and set many water ATMs in rural India. How Jal Jeevan Water ATM project works? The project helps in providing clean and purified drinking water to people living in rural India through a Water ATM. Each family is given a water ATM card for daily usage. Initial project loan payment can be easily recovered by charging a nominal amount per litre to the users. Deeya raised Rs. 15 lakh by contacting individuals, government officials and the municipal commission. The first ATM has been inaugurated by the Municipal Commissioner on India’s Republic Day 26th January 2016 in Solapur, Maharashtra.